I am a professional, freelance photographer with experience in social, corporate, sports & event photography. I've always had a love for photography and from that passion, Mixed Bag Photography was born in 2013. Based in the beautiful city of York, which is also my home town, I'm incredibly fortunate to have such amazing surroundings both in the heart of the city as well as the outskirts and further afield. York has superb road and rail links too allowing me to travel to customers and clients around the country. As well as being available to hire for private commissions, events or on a freelance basis, a selection of photo's can be found on the website and all are available to purchase as digital downloads, prints, framed prints or canvases. If you would like further information or to enquire about a booking, please do not hesitate to get in touch and I'll be happy to help and offer a free, no-obligation quote. All my contact details are here. All images found on this site are strictly copyright Mixed Bag Photography and must not be used, copied or reproduced in any format without prior permission. Mark joined our team by helping on an event at the last minute, he took on the job at short notice and approached it with care and diligence. He asked for the correct information to be able to complete the job his full potential. He arrived on site the next day and provided us with a fantastic service on a difficult shoot. Marks photos where high quality from the start of the day and he worked with us through our own technical problems, providing support and understanding. Mark has now joined our team and works with us on a regular basis. He is personable, professional and a joy to work with. When Mark is booked in on your team, you know that it is covered with a reliable and high quality professional, leaving you with nothing to worry about. I really enjoyed working with Mark as he appreciated and understood everything I wanted to achieve with the MX-5 photoshoot. We took some time to choose the perfect local setting and then checking the weather conditions the photoshoot took place shortly after I contacted Mark in October last year. We had a great day and the quality of the pictures returned to myself exceeded my expectations and were soon loaded onto my website, I put together an email campaign to my customer database and the first 2 vehicles were sold that week. This is the first time I've used a local photographer for the photo's but the difference in quality showed off real professionalism of my dealership and helped my business sell sports cars in winter, not a bad result I'd say. 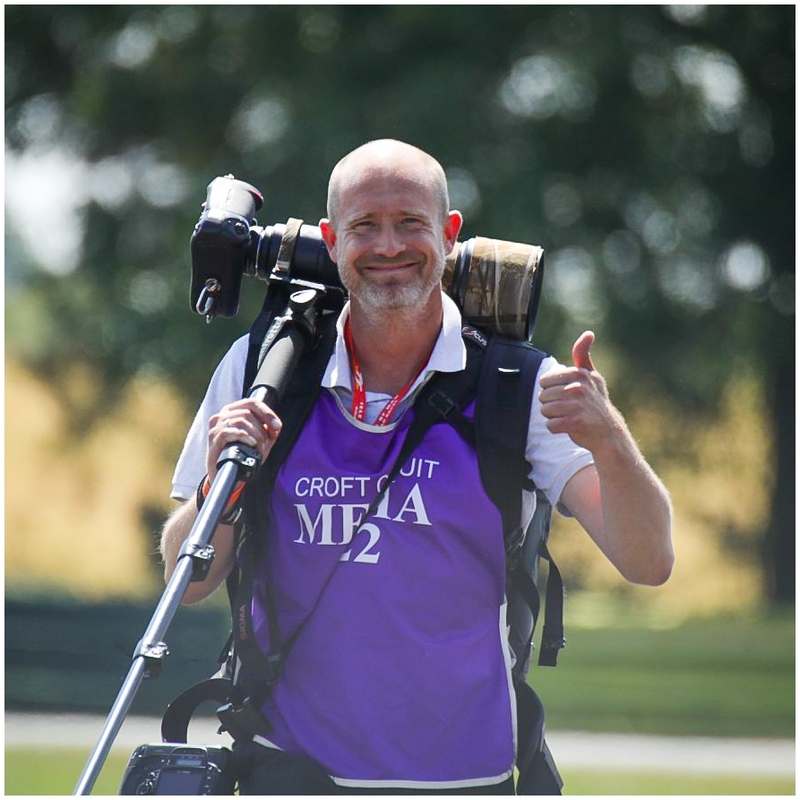 We have worked with Mark for many years now - he has become an integral part of recording memories with his photography at several of our events including the Minster FM Local Hero Awards. His photographs are full of life and emotion. Everyone looks so natural and at ease, even if they are looking directly at the camera. Bridget Davies - Managing Director, Minster FM. We have used Mixed Bag Photography for the last 2 years at the Micklegate Run Soapbox Challenge and have to admit the images Mark has captured of the soapboxes careering down Micklegate and of the day itself have been amazing. We can recommend Mark and his company if you require an expert and professional photographer. The Soapy Group has worked with Mark from Mixed Bag Photography for a number of years on various promotional and marketing projects on behalf of our clients. The work has been varied from taking shots of high end kitchens, bathrooms and show houses to award winning hair salons. We are extremely pleased with the finished projects and use Mark Wise as our preferred photographic supplier. Mixed bag photography attended the Yorkshire Dales Autograss Club and took a photo of me racing my car. I thought it was a brilliant picture so I contacted Mark. I bought a print of the photo he took along with a strip of about 5 or 6 smaller photos at the bottom of other cars I’ve raced that he snapped. A talented photographer who is easy to do transactions with and has a friendly, can do attitude. Mark Wise at Mixed bag Photography has taken a few photos of me over the years in the Formula Vee Championship. His services are to a great standard, you will always get good quality depending on what shot you want to get. There is one photo I absolutely adore which he got in black and white and he framed it for me. We’ve had a couple of prints from Mixed Bag Photography, always rapid service, quality prints and a lovely guy to deal with. Hi Mark thank you yet again for the excellent photos you have taken in 2017 Autograss season. Our home walls have plenty of my sons class one car on them they have also reached his grandparents walls in Australia. Thank you for putting together the 2018 calendar which has also gone to Australia. We have plenty of space for the photos you are going to take this year in Autograss racing. Keep up the excellent work. Thank you. Julie, Andy & Dazza Gunnee. S14Y. I have bought quiet a few of Mixed Bag Photography's motor sport images of myself racing and have always found these action shots to be of a fantastic quality. They have always been well presented and delivered quickly. I would highly recommend to anyone who wants some good quality images.